We offer manuscript assessment for all writers at every stage. When you send us your work, we will produce a detailed, honest and practical assessment of your manuscript, tailored to meet your needs. All our editors are authors or publishing experts themselves and understand what you are going through as well as the needs of the market and the shifting trends in publishing. All this means that you will work with people with years of experience, and they will pass on all that knowledge to you. All writers have, at some point, asked friends and family to read their work and tell them if it is any good. However, nothing can replace the feedback and advice of a professional writer who can give you an honest assessment of your manuscript based on experience. We are here to help you write. Our manuscript assessment service helps writers with their work, whatever the genre, by giving a professional report on the strengths of the manuscript and possible areas that need improvement. When you come to The Oxford Editors you will get access to published authors, playwrights and screenwriters who have years of experience and success as writers. 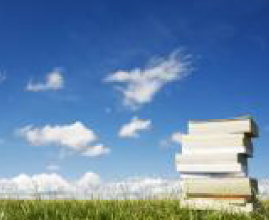 We provide assessment for fiction and non-fiction books, as well as screenplays, plays and poetry. However, there is a lot more; we also provide re-writing, copy editing, proof reading, ghostwriting, and one-to-one mentoring for new and experienced authors. We are here to help writers no matter what stage they are at. Our editors try to finish work as fast as they can, but sometimes the work needs more thought, and we give every project the time it needs. We will never rush your manuscript. Our mission is to encourage and help you improve your work. We care about each and every author, and we give the same time and attention to the teenager writing a first story as we do to the university professor publishing a ground-breaking book. It is never too early to have us look at your work, so please email us at info@theoxfordeditors.co.uk or telephone us on 01865 339604 to talk over your options. A little advice from our experts early on will save you wasted writing time and can help catch those mistakes before they become bad habits. Every writer needs someone to give them honest feedback on their work and that’s what we’re here to do. The Oxford Editors also works with publishers, project managing books through the editorial and printing process. We also act directly as literary agents for a small, but growing, group of authors. One of our authors will read your manuscript with an expert eye. As published writers we understand what works and are familiar with common mistakes. We also understand the demands of the various markets for writers. Several of our authors also have years of experience teaching creative writing and have helped many writers find their voices. Your editor will write a full and detailed report on your work. Each report will vary (as every book is different) but it will cover areas such as: plot, character development, prose style, pace, marketability and next steps. 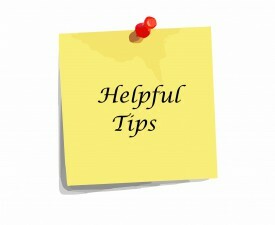 It will always be honest and constructive, pointing out your strengths and suggesting areas that need improvement. If required, your editor will have an in-depth conversation with you about your book. We understand the effort that has gone into producing a book and we want to help. If you forget a vital question, you are welcome to come back to us by telephone or by e-mail. Please note, we do not accept encrypted manuscripts. We offer discounts when more than one service is taken up and paid for at the same time at the start of the work. We know the markets for our work and we keep in touch with publishers and producers to make sure we are on top of the latest trends. Our editors will draw on years of experience to help you make the very best of your chances. With our extensive contact list of professionals, we are able to choose exactly the right editor for each author. 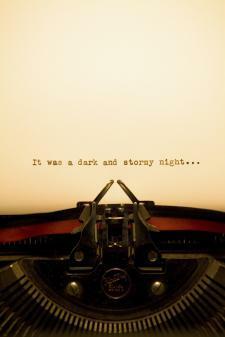 Our first-class team is dedicated to encouraging and helping writers. We are always happy to chat about your manuscript to make sure you get the very best service. Click on Assessment Services in the menu panel to see the full range of our services. At The Oxford Editors we pride ourselves on being a literary consultancy that is easy to work with. 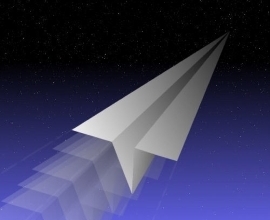 Send us your manuscript by post or email together with payment. As soon as we receive your submission we’ll contact you with details of your editor. We also provide an express service with a turn-around time of 2-3 weeks, at an added cost of a further 50% of the initial fee. For one week, the price is doubled. 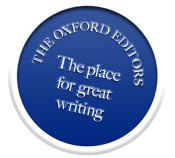 The Oxford Editors has close links with many top agents and publishers, both in London and worldwide. The Oxford Editors cannot guarantee to get your book into print, but the moment we see a market for it we will try and place it for you. As successful, published authors we have all turned to family, friends and other writers to read and to help us with our first, second and even tenth drafts. There was a time, long past, when agents and publishers could take the time to ‘build’ a writer, supporting them from first draft to eventual publication. In today’s competitive market you only get one chance: The Oxford Editors are here to support and guide you to grasp that chance. You can also pay by direct bank transfer, cheque, by credit or debit car – just ask us for details. When you are ready just contact us and we can send you our bank details for a direct transfer or call us to pay by debit or credit card. Or you can pay via our Fees page . When you are ready, just pay by going to our online payment page, or you can pay by cheque made out to The Oxford Editors Limited and post it to us along with your manuscript. We know that ideas are precious things and no one wants to risk giving away the plot of the next great novel. All our editors guarantee confidentiality and will never use your ideas or discuss them with anyone outside The Oxford Editors. If you are in doubt please contact us through our Contacts Us page or telephone us on our new telephone number: 01865 238066 for more information.